Congratulations! 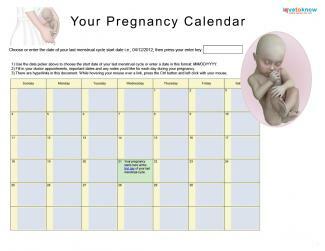 By the end of week 20, you will have passed the halfway point of your pregnancy. Your baby still has lots of growing and developing to do, but you're only a few short months away from meeting your little one. Now that you're in week 20, your baby's length will be measured from head to foot, rather than head to rump. Right now, your little boy or girl is about ten-inches long or about six and a half inches from crown to rump, according to the Mayo Clinic. He is tipping the scales at about ten and a half ounces. Your little one will begin producing meconium this week. This greenish black substance will make up your baby's first bowel movement. The National Institute of Health explains that the substance is made up of bile secretions, amniotic fluid, fatty acids, and mucus. Although this may sound disgusting, it's actually a very important step in your baby's development. For the remainder of your pregnancy, the American Pregnancy Association reports that you can expect a weight gain of one-half to one pound per week. 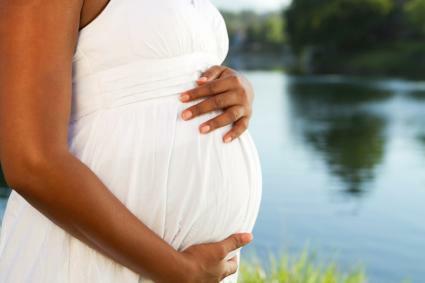 However, you may gain slightly more or less depending upon the weight of your baby, your pre-pregnancy health, and any complications you've experienced so far. If you have concerns about your weight gain, ask your healthcare provider for advice on any possible dietary modifications. By week 20, the top of your uterus is at the same level as your navel. Your belly button may become an "outtie" from the pressure of your uterus, although this can also happen later in the pregnancy. At this point in your pregnancy, you may also notice that the line between your navel and pubic hair has darkened. Called the linea negra, this line is completely normal and will most likely fade after you deliver. In some cases, the line does not disappear after pregnancy and may become a little darker with each baby you carry. This line doesn't occur in all women. Giving is a very important experience, and it requires some planning. Week 20 is a great time to start thinking about your delivery. To ensure a more positive birthing experience, many women decide to create a written birth plan or 'birth wish list'. This document discusses your wishes and helps everyone involved work out communication issues before the delivery. Generally, a birth plan consists of a one-page statement that describes your preferences for a normal delivery and a second description of how you wish to handle any complications that may arise. A good birth plan is both detailed and flexible. It clearly communicates your desires, yet leaves enough room for any deviations that may be necessary. As you're writing your birth plan, you may want to consider the following questions. Who do you want to be present at your child's birth? Will there be a Doula, family friend, or your child's siblings in the room? Would you like to listen to music during your labor? Do you want to be able to walk around between contractions? Do you want to wear your own clothing during your delivery? What do you want to do for natural pain relief? Would you like to try massage, breathing exercises, hot and cold packs, or a Jacuzzi? Do you want pain medication? If so, do you have a preference for a particular pain medication? Would you like an episiotomy? If you're against the procedure, how do you plan to avoid one? Would you prefer a particular position in which to give birth? What are your preferences for your baby's feeding and sleeping schedule? The key to a good birth plan is discussing your wishes with your care provider. You may wish to wear your own clothes during delivery, but your hospital may have policies against this. You may wish to deliver in a particular position, but your doctor may not want you to. You may wish to walk around during contractions, but your doctor may want your baby's heart rate to be monitored during the entire labor. All of these wishes need to be discussed before you go into labor so you can modify your birth plan. Even though you've reached the halfway point, it can still seem like a long time before you get to meet your baby. Making a birth plan can help you prepare for that big day and may make it all seem more real.